f. The Corporate Governance Code (3rd Edition) September 2009. It is, however, worth noting that all companies must also comply with the common law principles, such as those concerning the fiduciary duties of directors and other laws, which are not mentioned above and which may be applicable, depending on the circumstances and matters involved. Further, it should be recognised that the legal framework of the Cyprus capital market consists of laws, regulations voted by the Parliament as well as directives and circulars issued periodically by the Cyprus Securities and Exchange Commission. Such information may be readily obtained by visiting the website of The Cyprus Securities and Exchange Commission – www.cysec.gov.cy. e. the imposition of administrative sanctions and penalties upon brokers, investment consultants and other legal or natural persons over which it has control. There are also other bodies, such as the European Corporate Governance Institute (the ECGI), which is an international scientific non-profit association which have members from different member states, the aim of which is to focus on major corporate governance issues, thereby promoting the best practices. Although such bodies and associations do not themselves create legislation, they work together in harmony with the existing regulations and legislation to create a model for best practices and to promote change when required and often the guidance and pronouncements made by such associations are adhered to by companies because they represent large institutional and influential bodies. The joining of the European Union on the 1 May 2004 by Cyprus resulted in full compliance with the European Directives and Regulations, although it is worth noting that the beginning of the relations between Cyprus and the European Economic Community (EEC) actually began in 1972 when the EEC and Cyprus formed an Association Agreement, which was signed in 1973. Cyprus has enjoyed strong relationships with the European Union for a long time. The signing of the agreement allowed Cyprus to join a customs union with the EEC, providing for trade, financial and technical cooperation. The agreement was set to develop in stages, with the reduction of and eventual elimination of customs duties on industrial and agricultural products traded between Cyprus and member countries. Cyprus formally applied for accession to the European Community in 1990, and in 1993, the European Union (officially created in 1992) considered Cyprus eligible for membership. The final stages of the process were put into place in 2002/2003, which led to full membership occurring in 2004. In 2000, the stock market in Cyprus all but collapsed, the result of which was the issuing of the first Corporate Governance Code in 2002 (hereinafter referred to as the Code), the second edition of which was brought out in 2006 and was revised in 2007 and 2009. The adoption of the Code is not obligatory – it is rather a set of principles than a set of legal rules. However, the Code is mandatory for firms the shares of which are traded on the main market and in part, it is mandatory for firms, the shares of which are traded on the parallel market, whereas it is not mandatory for firms in the alternative market. Private companies in Cyprus are not governed by the Code but by the Companies Law and other relevant legislation, although it can be said that it would be beneficial for private companies to use the code as a best practice model. Even though it is not binding upon them, it could be used as a reference and a guide. The main aim of the Code being introduced was to promote accountability, transparency and effective independent boards to enhance corporate governance within Cyprus as well as the reinforcement of the monitoring role of the board of directors and to protect minority shareholders. The proposed recommendations aim to set a standard of best practice throughout Cyprus for companies, in particular public listed companies, which will work alongside the existing Cypriot company law and other relevant laws and regulations. The improvement of corporate governance is high on the government of Cyprus’ agenda and public companies are constantly encouraged, assisted and provided with incentives to abide by the corporate governance principles. g. ensure that appropriate appraisals, audits, reviews and routine monitoring of internal controls take place at least annually. Behind these general principles is an implicit need to protect not just the finances of the company but also the corporate reputation in general, as well as to guard against other significant risk exposures. The key aspects of corporate governance combine together to work towards establishing a best practice code for corporate governance which should operate on ‘a comply or explain basis’. Currently, the main regulatory bodies and agencies which monitor compliance with the corporate governance requirements and the Cyprus Companies’ Law are the Cyprus Securities Commission, the Cyprus Stock Exchange (CSE), the Department of the Registrar of Companies and Official Receiver, the Association of Stock Market Investors, the Central Bank of Cyprus and other such bodies and institutions, for example, The Insurance Association of Cyprus (IAC). 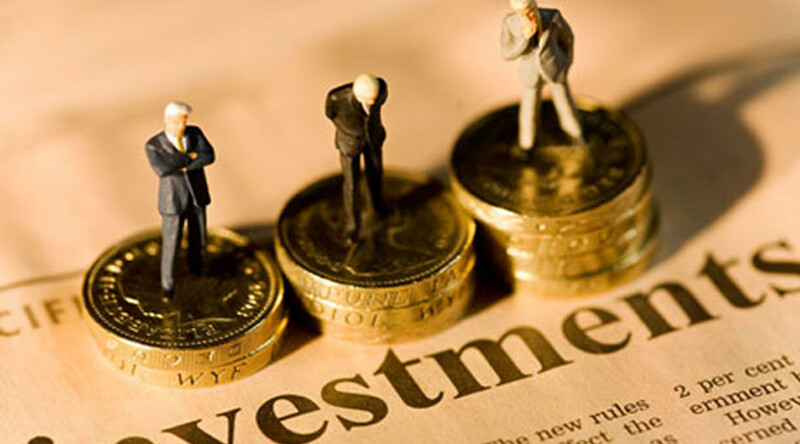 A further area which is becoming increasingly important for business and trade in both Cyprus and throughout the world is that of international collective investment schemes (ICIS). International Collective Investments Schemes in Cyprus are governed by the International Collective Investment Schemes Law (Law 47(I) of 1999, as subsequently amended). The purpose of an ICIS is collective investment in property belonging to the members of the scheme i.e. the unit holders, whose units may be redeemed or repurchased by using assets of the scheme. The Law recognises three categories of ICIS, namely schemes open to the public, schemes open to experienced investors and those which are private (PICIS). Schemes open to the public and those open to experienced investors are regulated by the Securities and Exchange Commission of Cyprus and PICIS are regulated by the Central Bank of Cyprus. The Central Bank of Cyprus was established in 1963. It is an autonomous institution in accordance with the Constitution of Cyprus and is governed by the Central Bank of Cyprus Laws of 2002 – 2007, which ensures the banks’ independence as well as compatibility with the relevant provisions of the Treaty establishing the European Community and the statute of the European System of Central Banks. The amendment in March 2007 paved the way for the legal integration of the bank into the Eurosystem in January 2008. The Cyprus Companies Law provides for a one-tier structure under which the board of directors holds all of the administrative, executive and managerial functions of the company. Generally, the directors of a company have several duties – duties of skill and care, fiduciary duties and statutory duties in common law. The directors owe a duty to the company to act in good faith and for the benefit of the company and further, they must avoid conflicts of interest. Furthermore, the directors are under a duty to exercise skill and care in the performance of their duties. The level of such skill and care is not a high standard, but one of reasonableness in the situation and according to the knowledge and experience of each individual director. The board of the company should exercise its powers as a whole and as such, the powers are not delegated to individual directors. Section 80 of the Companies Law establishes this principle by stating that all business of the company shall be managed by the ‘directors. It should be noted that there are some exceptions to this rule, whereby express provisions are made for the members of the company to exercise powers in general meetings in accordance with the Companies Law or the Memorandum and Articles of Association of the company. Further, the company may arrange for a power of attorney whereby one director can represent the company in a specific matter as designated by the power and for the duration specified by the power. In the same respects, the duties owed to the company are owed to the company as a whole, not to any one specific shareholder. It should be noted that the directors of the company should be given access to the advice and services of the company secretary, who is responsible to the board for ensuring that board procedures are properly followed and that all applicable rules are adhered to. The principles of the Code provide that the management of the company is responsible for providing to the directors of the company timely, reliable and detailed information to allow them to carry out their duties. The Code upholds the principle that every listed company should be governed by an effective board of directors which must guide and control the company. It provides for the different roles in the company and states that the roles of chairman and chief executive officer should not be exercised by the same individual. The responsibilities of both should be clearly established and set out in writing after agreement by the board. The chairman of the company takes charge of the meetings and ensures that the meetings are conducted properly. In accordance with the Code, the board of directors should meet regularly, at least six times a year. The chairman should ensure that all directors receive timely information relating to all meetings due and any documents which are relevant should be available to the directors in plenty of time so that they can be studied before the meeting and any questions can be answered or any necessary advice required can be sought and received. If, for any reason, the chairman is not present at a meeting, the board may elect one of its members to take the chair. If no director is present and willing to take the position of chair, then the members are allowed to appoint one of their number to act as chairman. The meetings of the company should have a formal schedule of matters. The chairman is responsible for ensuring that all of the issues on the agenda are sufficiently supported by relevant information and documentation. The minutes of the meetings of the board of directors should be circulated as soon as possible after each meeting. The minutes should be complete, detailing all of the decisions taken and should be readily available for all of the directors to view. a. 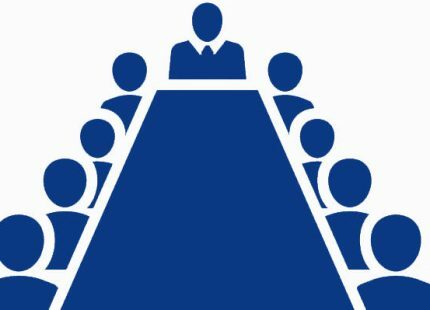 The nominations committee – to lead the process for board appointments. The board should have a majority of members who are non-executive directors and the chairman should be either the chairman of the board of directors or a non-executive director. b. Internal audit committee – this committee should be made up of at least two non-executive powers and should meet regularly throughout the year. Its duties and responsibilities are wide-ranging and include monitoring the company’s financial statements and controls as well as risk management. c. A remunerations committee is responsible for recommendations on remuneration and policy strategy for executive directors and the senior management of the company. The main aim of the remuneration of directors is to be sufficient enough to attract and retain the services of directors who will work towards strengthening the management of the company. The actual remuneration of directors should be determined by the board itself. The shareholders of the company will approve the remuneration at the general meeting of the company. The remuneration committee should give their views and proposals for the remuneration of the directors and should also be given access to professional advice both inside and outside the company. The majority of the remuneration committee should be independent of the management and free of any business or other relationship that could affect their ability to act independently and provide unbiased judgments. The Code provides for official and transparent procedures for the development of policy with regard to the remuneration of executive directors as well as the level of remuneration of each individual director. The directors of a company owe a duty to the company to manage it in accordance with the laws of Cyprus and any relevant European directives/regulations and generally speaking, within the provisions of the company’s memorandum and articles of association. In the event that the aforementioned does not happen, the directors will be liable to the company for any loss caused by acts which are done ultra vires, i.e. outside of their power, or for any illegal actions. These responsibilities are mainly classed as fiduciary duties. Along with the fiduciary duties and general duties assigned to the directors, there is a duty of care in common law, which includes a duty not to act negligently in managing the affairs of the company. Negligence will make the director liable in any subsequent action and in law. However, the Cyprus Companies Law, section 383(1) provides a certain amount of relief in relation to proceedings against a director for negligence, breach of duty or actions in default, if the director may have acted reasonably and in the light of all of the circumstances of the case, the court sees fit that he ought to be fairly excused in part or in whole from the liability or conditionally on terms which the court sees fit in the circumstances. In general, the directors of the company are responsible for the settlement of any conflict of interest between the directors and the shareholders and any associated/related parties. It is the directors’ role to monitor the company and its activities and associated risks. The Code provides that the board of directors should include a sufficient number of non-executive directors who hold the necessary knowledge and experience to assist in decision making. In fact, non-executive directors should comprise no less than one third of the board of directors. Executive directors are necessary on the board of directors, with the exception of investment organisations which have a fund manager and so do not need to comply with the obligation to have an executive director. It is important to note that within the confines of this publication, it is not possible to look in any depth at all into the general duties of directors, but to conclude, it is accurate to say that the director of a company must act in a way which he considers, in good faith, would be most likely to promote the success of the company for the benefit of its members as a whole and in doing so, have regard to the long-term consequences of his decisions, the impact on external matters and the reputation of the company. Transparency and disclosure is a key factor of corporate governance best practice, allowing shareholders access to relevant information so that they can assess whether or not they are satisfied with the way that their company’s affairs are being conducted by management. However, an underlying philosophy of company law is that persons dealing with a company are protected by the disclosure of information. This is important not only to actual and or potential investors but also to creditors, particularly in relation to limited liability companies. In general, the ‘principle of publicity’ applies in Cyprus whereby any interested person and/or body can approach the Company Registrar to perform a search on any company file by paying a nominal fee. Information in relation to a Cyprus company is publicly available in two locations – from the Companies Registrar’s office and the registered office of the company. The existence of this enhances the transparency of the corporate business in Cyprus but it is worth noting that there are still provisions for the beneficial owners of companies to retain their anonymity and confidentiality. This can be done through the use of nominee services and declarations of trust, whereby a third party/person holds the shares on trust for the beneficiary. The true identity of the beneficiary then only needs be known by the banks which are involved in the company’s finances, the accountants of the company and if so requested, it must be disclosed by the relevant authorities. statutory financial obligations – the standard for the accounting and auditing of the financial statements are in line with international best practice accounting standards. Since 1 January 2005, all European companies listed on an EU securities market are required to prepare their consolidated financial statements in accordance with International Financial Reporting Standards (IFRS). The International Monetary Fund (IMF) has confirmed that Cyprus has adopted the IFRS. The accounts of the company must be presented no later than 18 months from the date of incorporation of the company and each year thereafter. returns – each company must prepare and submit an annual return which details any changes in the affairs of the company. The relevant legislation and regulations in Cyprus provide that the directors of the company are responsible for ensuring that a full set of financial accounts are drawn up to reflect the company affairs. The accounts must give a true and fair view of the company and its financial situation. If the directors fail to take such action, they can be found guilty of a criminal offence and could be liable upon conviction by the courts to imprisonment for a period not exceeding one year or to a fine, or both. The director must take reasonable steps to ensure that the accounting requirements are adhered to. The accounts of the company must be signed by at least two of the directors of the company. The Code itself is based on the ‘comply or explain principle’ which is an effort to promote transparency. The ‘comply or explain’ principle forms the basis of the European code-based approach to corporate governance. It provides for more flexible and effective market-led regulation. The Code supports the legislation and regulations by stating that it is the board’s responsibility to submit a detailed and balanced assessment of the company’s position and prospects, which extends to all public reports as well as information needed by the statutory requirements. Further, listed companies are required by the Cyprus Securities and Stock Exchange Law and other regulations to disclose all significant information that may influence the investors’ assessment of the prospects of the company. Certain information must be publically disclosed as a result of the Transparency Requirements Law, Law 190(I)/2007, which imposes certain obligations upon users in relation to the publication of company financial data to investors and shareholders. Corporate social responsibility is a form of corporate self-regulation which is integrated into a company’s business. It is ultimately like a set of business standards and ethics which a company aims to uphold and the taking of responsibility for companies has a wider impact and implications on society. It enshrines the concept of accountability, something which the Code through its general and reporting requirements and the Cyprus Companies Law fully support and encourage. Corporate responsibility in general has been factored into each part of this chapter since it relates to the majority of the areas covered herein, either directly or indirectly. However, a further point worthy of note is that of corporate social responsibility towards the employees of the company and wider society in general. Employees of a company play a role in corporate governance even though they are not specifically mentioned in the Code and are regulated by the employment laws in Cyprus and not the Companies Law. Employee participation is mainly done by way of compliance with the corporate regulations and practices which are issued by the board of the company. The employees assist in the day-to-day compliance of the company with such procedures and rules. We strongly believe that by increasing employee participation and the incentives available to employees to encourage them to assist in compliance with the rules and regulations, there will inevitably be greater support for more effective corporate governance in general. The shareholders of any company are the owners of the company and generally control the composition of the board. However, it is important to note that as a general rule, the shareholders, through the articles of association entrust and delegate the day to day management and operation of the company to the board of directors which directly limits their own role within the running and management of the company itself. However, the laws and regulations reserve certain rights and powers for the shareholders, largely through the requirement for shareholder approval through the passing of shareholders’ resolutions. The Code specifically states that the practice of corporate governance should begin with and ultimately stem from the principle of equal treatment of all shareholders. This covers all categories of shareholders regardless of their class, including minority and foreign shareholders. Further, the code confirms that all shareholders who belong to a particular category should be treated equally. Private companies in Cyprus must initially have at least one director and public companies, at least two. The first directors of the company may be appointed by the articles of association of the company but Table A of the Companies Law provides that the number of directors and the actual first directors shall by determined by the subscribers of the memorandum of association, i.e. by the first shareholders of the company. The shareholders of a company hold certain rights and powers which are given to them by the relevant legislation and the Memorandum and Articles of Association of the company. The main right of the shareholders is the right to vote at general meetings as well as to receive notice of and to participate in general meetings. The shareholders of the company cannot generally force the board of directors to follow a particular course of action, nor can they exercise duties or powers which are stated to be reserved for the directors by the law or by the memorandum and articles of association or by general practice. It is possible for shareholders to delegate the power and authority which they have by appointing another person to act as proxy and to vote on their behalf in meetings. The way in which this occurs will be independent to each company and the manner in which it takes place will be designated in the companies’ memorandum and articles of association. Shareholders have the right to make decisions at the general meetings of the company and this is done by the passing of resolutions. There are certain matters which the Cyprus Companies Law maintains that the shareholders should decide upon. In addition, the company’s memorandum and articles of association provide rights to the shareholders but it should be noted that if the memorandum and articles of association contain provisions which conflict with the main Companies Law, then the conflicting provisions will be considered invalid. Ordinary resolutions – for which a simple majority of those present and voting is required. Extraordinary resolution – in order to pass such a resolution, a 75% majority is required. Special resolutions – such resolutions require a 75% majority and a period of 21 days notice to be given of the meeting where the resolution will be passed. The type of resolution which the shareholders will pass is dependent upon the decision which is to be made. The Companies Law and the company’s memorandum and articles of association specify the type of resolution required for the different matters. The alteration of the objects of the company which involves changes to the memorandum and articles of association – this is carried out by way of a special resolution. The increase of the company’s share capital – this is carried out by way of a special resolution. The reduction of the company’s share capital (section 64 (1) Cap Law 113) – this is carried out by way of a special resolution along with a court order which confirms the reduction. Alterations to the objects clause of the company’s memorandum or articles of association – this is done by way of a special resolution and requires confirmation by a court order. The changing of the company name (section 19 (1) Cap Law 113)– this is carried out by way of a special resolution. The winding up of the company – this is carried out by way of a special resolution – (Part V Cap Law 113). Any transfer or sale of the company business while the company is in liquidation – this is carried out by way of a special resolution. A final point worth noting relates to dissenting shareholders. Section 201 of the Companies Law enables the decision of the majority of the shareholders to bind the dissenting majority, for example, when a company makes a takeover bid for all of the shares of another company or a whole class of shares and the offer is accepted by holders of 90% of the shares. The offeror can on the same terms acquire the shares of the shareholders who have not accepted the offer, unless the court can be convinced not to permit such an acquisition. Controlling shareholders are those who are able to control the composition of the board of directors. In general, controlling shareholders do not owe any duties to the company or to other shareholders who are classed as non-controlling. An interesting point to note is that of the liability of shareholders, both in private and public companies. The private and public company has its own distinct legal body/personality which is totally separate from that of its shareholders. The basic premise of limited liability companies is that the liability of the shareholders is limited to the amount of their capital contribution on the shares for which they have subscribed or agreed to subscribe. The memorandum and articles of association of the company provide for this limited liability of the shareholders and generally speaking, there is no other liability for shareholders as they do not have personal liabilities for the company’s debts due to the separate legal personality of the company. However, this is subject to a few exceptions in exceptional circumstances where in the English courts the judges have sought to pierce the corporate veil and hold the shareholders liable. The Code provides that shareholders should be given information about all essential issues concerning the company. This includes, inter alia, its finances and performance, the targets and aims of the company, voting rights which the different shareholders have, information relating to the board of directors, risk assessment and management and future strategies and policies of the company which are implemented at the time and also to be implemented in the future business of the company. The basic premise is that the proper claimant in an action in respect to a wrong which has been done to the company is the company, not the shareholders, and linked to this is the general thought that the courts will not generally interfere with the internal management of the companies. However, in some situations, it is possible for the minority shareholders of the company to bring a personal action against a director of the company and such an action is termed a ‘derivative action’. A derivative action is a common law right of the shareholders to sue the directors of a company in the company’s name. The possibility of such actions has been recognised by the Cyprus Supreme Court following numerous decisions in the UK courts which have set a precedent in the UK for such cases. The action breaches the personal rights of the shareholders. The Cyprus Companies Law, under section 33, in relation to fraudulent trading includes a further situation where a derivative action may be brought. This may occur in a situation whereby if, in the course of a winding up of the company, company business has been carried out which appears to have as its intent the defrauding of creditors of the company, the court may, upon receipt of an application by the official receiver, liquidator or a creditor of the company, if it thinks proper to do so, declare that persons who were knowingly parties to the carrying on of the business in such a manner will be liable for company debts or liabilities as the court sees fit to declare. The matter of whether those involved continued to act knowingly is of importance. The Code specifically states that the board should appoint a director or a managing director as an investor liaison officer to liaise between the shareholders of the company. This ensures that all information relating to the company can be distributed fairly, inexpensively and efficiently to all shareholders. It is possible for communications with shareholders or by shareholders to be done electronically as there is no restriction on electronic communications and in today’s modern society with such a range of media and telecommunications being available, it is now common and efficient to communicate in such a manner and in fact, some of the articles of association of some companies provide for such a manner of communication. Companies should count all votes done by way of proxy, and except where a secret vote is called for, should indicate the number of proxy votes submitted for each resolution as well as the number of votes in favour and against a resolution, after the vote by a show of hands. At AGMs, the chairman of the board should ensure that the chairman of the committees to the company are available to answer any questions which may be raised by the shareholders. The chairman of the board should make sure that the agenda and the organisation of an AGM should not weaken substantial dialogue and decision making. Proposals submitted at any Extraordinary General Meeting (EGM) should be fully explained to the shareholders, who must be given adequate time before any meeting to evaluate them, this also applies to proposals submitted before an AGM concerning giving the right to the board to issue and allocate shares at its discretion. The Code provides that all listed companies have an obligation to include in their board of directors’ annual report to the shareholders a report on corporate governance which includes, inter alia, a statement which confirms whether or not the principles of the Code are being implemented by the company and confirmation that it complies with the principles of the Code and if not, the reasons for the lack of compliance should be listed. It is common practice in Cyprus, as in many other jurisdictions, to have indirect shareholders where the ultimate beneficial owners are not registered as such at the Registrar of Companies office and the shares are held on their behalf through a declaration of trust by nominee shareholders. In such situations, the legislation and the company itself recognises the registered shareholders as the legal owners of the shares. The actual beneficial owner of the shares is safeguarded by the use of a declaration of trust. The nominees are obliged by law and best practice to take instructions from the beneficial owners and to keep them informed of any matter relating to the company which ultimately affects them and/or their rights, either directly or indirectly. 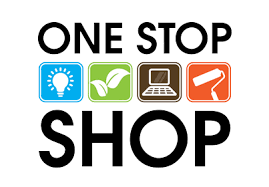 Generally speaking, such nominee services are provided by professionals, such as law firms. Such professionals must comply with the relevant regulations, for example, the anti money laundering laws, the Prevention and Suppression of Money Laundering Activities Law 2008 and ensure that they carry out full due diligence checks. Many aspects of corporate governance in Cyprus, while having been established now almost a decade ago, remain topical and important. With the recent global financial crisis, certain matters are at the top of the agenda of governments and regulatory bodies, for example, effective risk management and controlled decisions. Corporate governance is considered as an issue of great importance to the Government of Cyprus and the Minister of Finance. The authorities in Cyprus continually monitor both the development of corporate matters in general in Cyprus as well as the compliance of public companies with the Code, for which it constantly pushes for compliance. Recent developments in relation to greater education regarding corporate governance and the benefits of proper enforcement and implementation to businessmen/women, service providers and the authorities highlight the efforts being made to improve both the governance of public companies in Cyprus and also private companies. Although currently, the Code is not being complied with by all public companies, recent studies and surveys suggest that over half of the public companies in Cyprus comply with parts of the Code and close to 40% comply in full. It is apparent that improvements need to be made. However, the figures for compliance since 2007 are rising. It comes as no surprise that the Code is not being fully enforced in Cyprus since the corporate governance regime is still only in its infancy stage. However, we are of the opinion that unless fully supported by other initiatives which will facilitate international investment and the like, adherence to the Code will not reach its full capacity. Although many countries operate their own corporate governance code, associations such as the European Corporate Governance Institute work towards the provision of a proper governance framework which is of fundamental importance for strengthening the performance of economies, in particular those in development and transition and helping to discourage fraud and mismanagement. An ideal situation would be one unified code which would be implemented and followed by all member states of the European Union. Recently, the Cyprus Stock Exchange (CSE) announced the launch of the Emerging Companies Market (E.C.M) on 29 March 2010. The new Market was launched with the listing of four companies. In brief, the advantages of the ECM are the simple listing requirements, lower costs for the companies involved through new competitive pricing policies and the provision of wider opportunities to investors and market participants as-well as assistance being provided to companies with raising capital and strengthening their financial position as well as the provision of the over the counter trades (OCT). Further, there are several projects which are currently being implemented in relation to new tools for liquidity, global depository receipts and exchange traded funds. In recent times, the Cyprus Companies Registrar has introduced e-filing for the registration of companies and name approvals and searches can be carried out electronically. The Minister of Commerce, Industry and Tourism, Mr Antonis Paschalides, has said that the Government of Cyprus recognises the competitive advantages of Cyprus in comparison to other countries and that the Government has set as one of its primary goals making Cyprus a high technology service center. In addition, the number of Double Taxation Treaties (DTTs) which Cyprus has with countries around the world has rapidly grown in number. Recently, in October 2010, the president of Russia made an official visit to Cyprus, during which a DTT was signed between Cyprus and Russia. One of the main implications of this was the removal of Cyprus from the so-called ‘blacklist’ of Russia. This opens up greater possibilities of trade and business between the two countries, providing more transparency and flexibility for cross-border trade and corporate business and activities.